Justyne of Creative Christian Mama shares some of her experiences during her second pregnancy. During both of her pregnancies she found that at a certain point many things smelled terrible and made her sick. In this post she shares some methods of dealing with morning sickness that may help other Moms-to-be. There is practical advice and helpful recommendations on supplements, essential oils, spa water with fruit or cucumber, dandelion root tea or tincture, red raspberry leaf tea, peppermint tea, and more. Some of the best advice is that each pregnant woman is different. 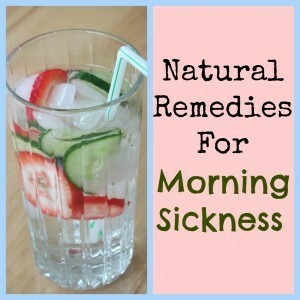 If you experience morning sickness, experiment with some of these remedies to see what works for you. Click below for a terrific post. Where Can I Get the Herbs Mentioned in this Post? Mountain Rose Herbs has high- quality herbs and essential oils. It’s my one-stop-shop!